What is the secret to the Tanoby Ruins? The hiker looking guy said a pokemon is said to sleep there, but i don't know how to "awaken" it or what it is. How do you get into the door in ruin valley? How do you ge into the door in ruin valley? Also, where is the dotted ..
HOW DO GET CHANSEY AND TAUROS!?!?!? AHHHH! I know where you can find Chansey and Tauros (Tauros: Safari Ar.. I would like to know what button you press to get into your menu and i.. I cannot find Kangaskhan in the Safari Zone. My Kanto Pokedex is 149 o..
Can you get alakazam in Pokemon leaf green without trading? 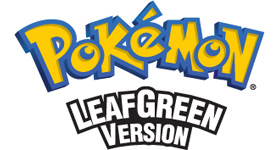 Our complete guide to Leaf Green is takes our through the whoel game, with guidance throughout to help you complete your Pokedex, accompanied with s..
the person is correct, however you need to be on seven island to do so. The Pokemon that are sleeping in the tanoby chambers are the unknown but you have to solve the puzzle in the tanoby key wich is in sevault canyion solve the puzzle and the Pokemon will appear. As saidpreviously, unknown is the only Pokemon you'll find. I don't know. It is true, you have to push the boulders in tanoby key, but I was also wondering why there were ONLY unknown there... It seems kinda fishy to just put one kind of Pokemon there, especially when those Pokemon are related to another dimension, lengendaries, etc. where are you going to arrrange them? ?in the boxes? Search for more answers for Pokemon LeafGreen or ask your own question here. Are there any shiny pokemon in LeafGreen because I ha.. Team for bulbasaur I am going to start a new game wit..
What is the best Pokemon to evolve, Eevee into Joltio..
Can you catch Mew and Mewtwo in Pokemon LeafGreen wit..
the fastist way to get my pokemon to.. Which Johto Legendary do you want?